The current trend of rupee depreciation will, in turn, lead to an increase in the solar power tariffs," said Nikunj Ghodawat, CFO. Rathi said the Indian solar industry needs to reduce its dependency on international elements and develop a domestic manufacturing. 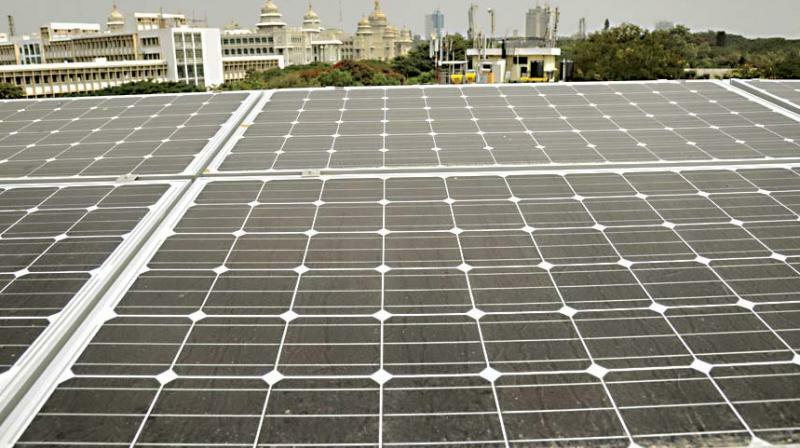 Bengaluru: The continuous fall in rupee value is adversely affecting solar industry and it could make solar power more expensive. The rating agency, Ind-Ra, said a weakening rupee, if unhedged, will impact investor returns in bidding and increase solar tariffs. “The depreciation of rupee will be a concern for the sector, since 60-70% of the solar components are imported. Apart from tariff bids getting affected, it will also lead to disparity in the project costs which are under execution," said Sunil Rathi, Director, Waaree Energies. He hinted that the depreciation may also affect the potential new adopters of solar energy, thus causing a interruption to the the solar vision in India. The major cost of the industry is linked to photovoltaic (PV) modules and hence one of the huge ramifications on the solar industry is the increase in the capex requirement. "At CleanMax Solar, we factor the currency risk upfront while negotiating the PPA tariffs and it’s relatively less complex for rooftop project as capex cycle is low. For the utility-scale project, it's difficult to perfectly hedge this risk," he said. “This will reduce the impact of currency and import fluctuations. With the recent developments, we can see the government’s commitment towards turning India into a renewable energy reliant country. The government is playing an active role in promoting the sector by offering incentives. Given a favorable environment, Indian manufacturers are capable of innovation, product efficiency and quality," he said.